Finalizing the event in Seattle, Washington. I will have it up and posted soon! Please call the following at Chase Paymentech: Jennifer Estrada at: 214.849.3308 Jennifer is our account manager and is the best person to contact to sign-up, if you have questions about your account. John, I responded to you privately because it revolves around multiple email addresses. In general if others have this same issue: Your Potters Council email address on file needs to be the same as your Ceramic Arts Daily email. If they are different you will not be granted access to Potters Council Members Only pages. If this does occur, please contact Carolyn Dorr at cdorr@ceramics.org to fix this issue. You will need to provide me with both emails. Itâ€™s all in the Details! The SPLENDID SURFACES conference will bring together an accomplished group of presenters to demonstrate, share ideas and answer any questions you have. Discover how each presenter uses the clay as their canvas, creating lush surfaces so inspiring you will rush home to your studio with fresh ideas. If youâ€™re looking to add to your repertoire of surface techniques, then this is the conference for you. Featured Artists: Melisa Cadell, Fong Choo, Molly Hatch, Kathy King, Tom Meuninck, and AMACOÂ® Technical and Professional Ceramic Artist staff. 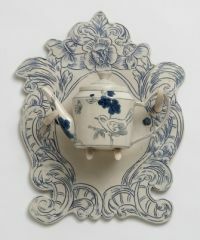 I have been thinking about putting together a conference that incorporates both food and ceramics... I really need to figure out how to do this... Any thoughts on this conference idea... The discussion so far has me inspired! Not sure if you post is a stand alone topic, then place it here. Eric, welcome back to Potters Council... The forum here has a great gallery. I would for sure post your pictures. Also, now that you're a member again. You should post pictures in the Potters Council Artist Portfolio. I have attached a link to the portfolios and how you send in the information. 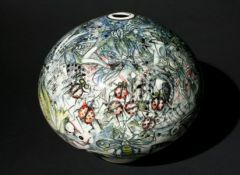 Artists Portfolio Link: http://ceramicartsdaily.org/galleries/artist-portfolios/ How to submit your information: http://ceramicartsdaily.org/galleries/request-listing/ I look forward to hearing from you! You've come to the right spot if you're looking for an international organization that connects potters from around the world. Potters Council may be the organization that you're looking for... A nurturing, creative community The Potters Council was formed to create a community of potters and ceramic artists from around the world. This is a community of potters dedicated to supporting each other by sharing ideas, insights, and advice. Community is important. We can all share techniques and tips and add new dimensions to each otherâ€™s worksâ€“and our own. You never know what will inspire your work or influence your next project. But thatâ€™s part of the joy of pottery! And when you become a member of the Potters Council, youâ€™re part of a creative, compassionate community of people who understand you. 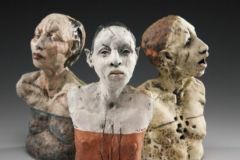 Connected to the clay Potters Council is a nonprofit subsidiary of The American Ceramic Society (ACerS). 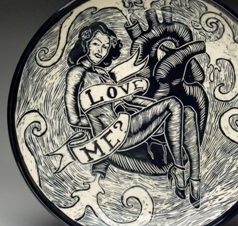 It was formed to serve you: potters, ceramic artists, lovers of clay. Our mission is to meet the needs of studio potters and ceramic artists by providing a place for knowledge exchange and professional enhancement. 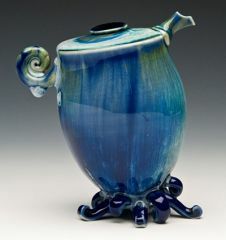 To learn more about Potters Council go here: http://ceramicartsdaily.org/potters-council/learn-more-about-potters-council/ If you have additional questions, please contact me at anytime. While attending NCECA I was able to talk to many artists, and one of the major concerns continues to be health insurance. Here at Potters Council, we are concerned that many artists are not covered. We've been able to help many members obtain insurance in the US (some states are not eligible). It is worth it to give them call or request a quote online. Check out the information below. Carolyn Potters Council Health Plan: Enroll Today! Lock in Your Rate for three years! 866-425-3335 or www.potterscouncilhealthplans.com. With TeleExpress member enrollment, you can build your health plan, and enroll right now over the phone in as little as 15 minutes. You can be approved in as little as 24 hours. All plans are completely voluntary with no obligation. (Available for US Members Only) Traditional PPO Health Plan - The traditional PPO plan is a cost-effective traditional plan for both everyday and catastrophic needs. Youâ€™ll be able to control your premiums without giving up benefits, you can still choose to add optional features, like an office visit copay for more protection and convenience. Providing up to $25 million in benefits, this traditional plan offers quality and fexibility. PPO â€œLightâ€ Health Plan - The PPO â€œLightâ€ plan is ideal for those who are without health insurance or are thinking about dropping current coverage due to cost. This health plan provides extensive access to providers and up to $2 million in health-care benefits, for as little as half the price of other popular plans. Health Savings Account Insurance Plans - Health Savings Accounts are the most innovative approach to health care in years and may save you up to 42% over traditional PPO plans. Furthermore, you donâ€™t pay taxes on the funds you deposit in your Health Savings Account. Unused funds in the account roll over from one year to the next, and earn interest tax-free. Call today to learn more about the advantages of Health Savings Account Insurance plans.